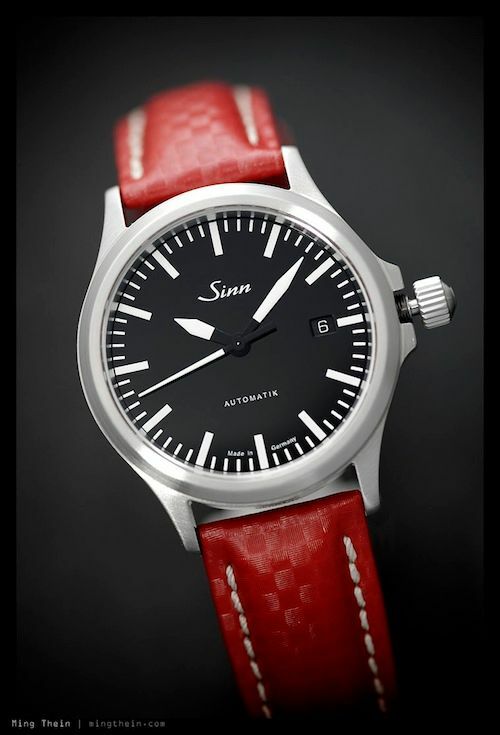 For a long time, Sinn has operated under the radar of most watch collectors, providing functional, robust watches mostly to the military and other similar civil services. 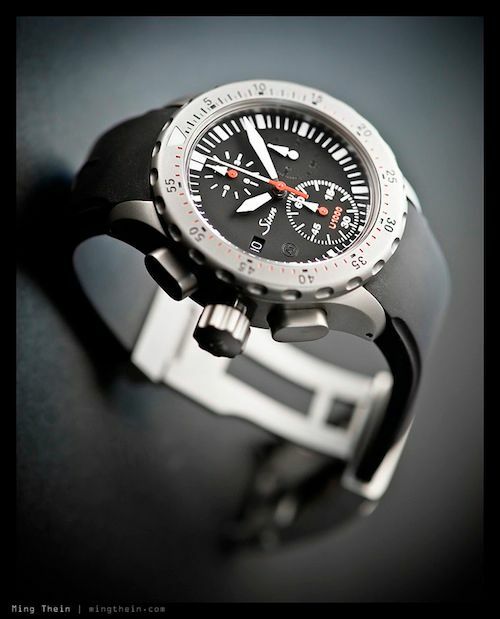 Even though the company has been appearing with increasing frequency in mainstream media and advertising, their core product lines are still tool watches. 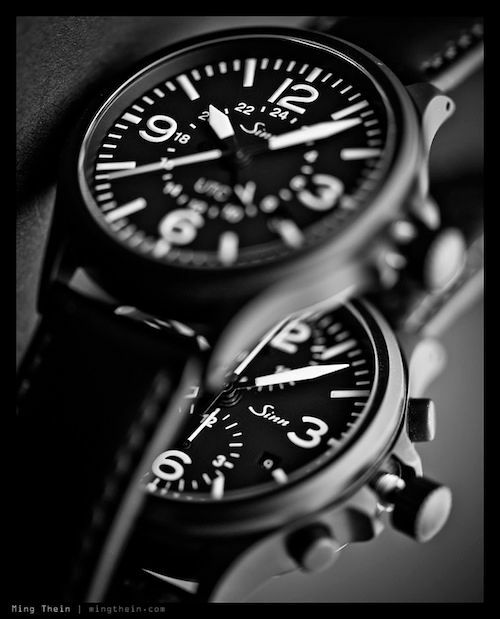 A little known fact is that the original Bell and Ross watches were made by Sinn; including the Space series, and Type Demineur. 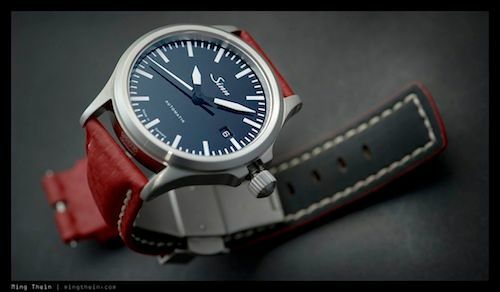 Quite a number of years ago, Sinn (together with Damasko, though the history is cloudy) developed a number of ways of hardening cases: first, ‘ice hardening’ using thermal annealing techniques, which hardened the case all the way through. This was followed by something called Tegiment: a chemical process that hardens the surface layer of the steel to approximately 1200 vickers (normal steel is around 220 vickers, by comparison). 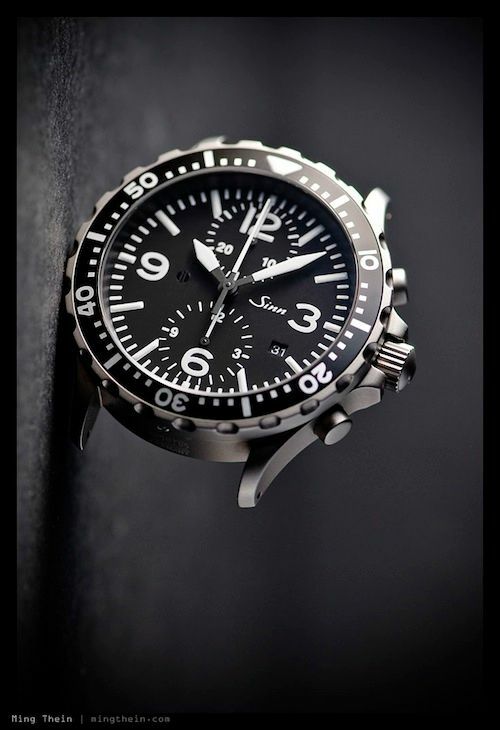 Sinn’s current U series of dive watches is made with a different alloy called Submarine Steel, which is supposedly identical to the hulls of the German Navy’s submarines. It’s harder throughout than normal steel, but not as hard as the Tegiment layer. There’s also a PVD (physical vapor deposition) coating option, which is composed of TiAlCN (titanium aluminium carbon nitride) which is black, and has a surface hardness of around 2000 vickers. This coating is only applied to Tegimented cases to prevent flaking if the underlying case metal dents. They don’t just do case hardening, though – the watches are meant to be used as tools, and thus survivable; some cases also have argon filling and copper sulphate capsules to negate the need for a helium release valve or absorb moisture; there are soft iron inner cases for magnetic field protection; diamond coated pallets and escape wheels for lubrication free operation, and finally, special oils and gaskets to provide extreme thermal stability and full functionality underwater. Additionally, my brother has had a U1 for about a year, which he’s been reporting back on. 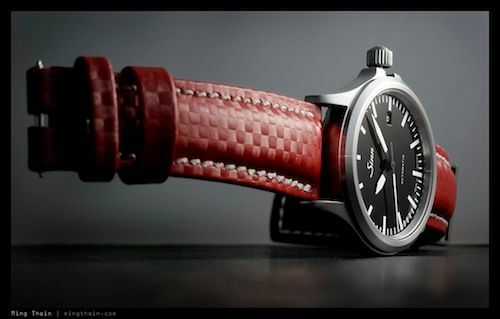 Admittedly, this wasn’t a question I was trying to answer when I purchased my first Sinn – a 757. I just liked the look and functionality. I had it for about three months, selling it to fund another piece. The only issue I had during that period was the luminous triangle falling out of the bezel, which I fortunately managed to find and superglue back on. The case, though, remained unblemished. Number two piece was the 856 S UTC. 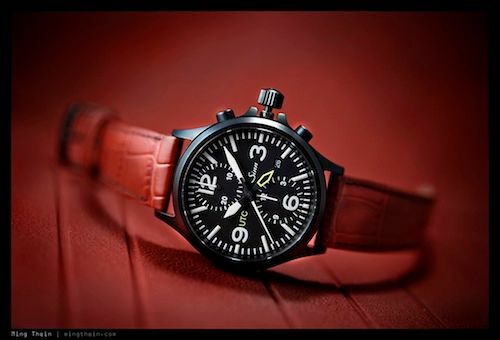 I wore it for about two months before my wife took over; during my tenure, I once again had no issues other than the power reserve being somewhat short, though the ETA 2893 powering it in my experience is not the most efficient of winders due to its huge rotor bearing and my relatively desk-based lifestyle. She on the other hand, has managed to thoroughly abuse it. Frankly, after three years of daily wear, the case looks terrible. There are dents (! ), scratches where the PVD coating has been removed, revealing the steel underneath, and abraded spots where the PVD coating is shiny instead of matte. And the outer antireflective coating on the sapphire crystal is hazed with a million hairline scratches, some of them quite deep. The scratches I can understand – diamond jewellery will obliviously cut through anything. The dents, however, are perplexing to me. If the surface layer – 2-3mm – of the steel is hardened, how on earth can it dent? Even more inexplicable is that on the dented portions, the PVD coating has not flaked off. Timekeeping, however, has remained on the money throughout. Given there are always bound to be some anomalies, let’s move on. My 756 S UTC has served as daily wearer and beater for the last three years, occupying perhaps 70% or more of my regular rotation. 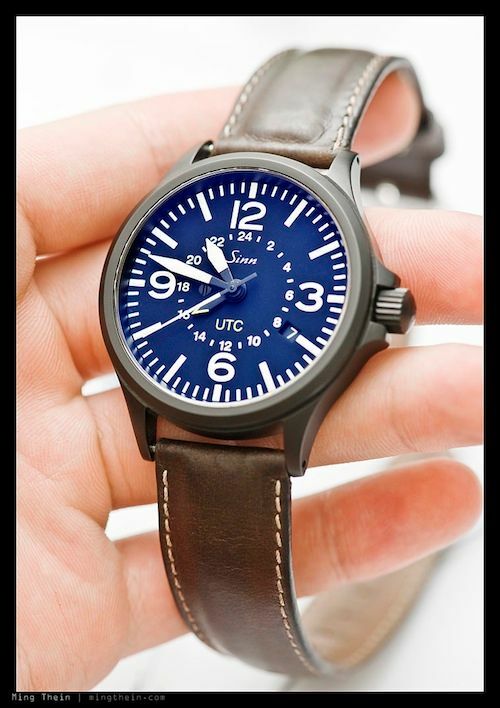 I don’t take any special care with it, and will usually choose to wear this if I know that I might face a situation where my watch might take some abuse. I inspected the case under a 10x loupe recently and can’t find a single mark on any of the tegimented parts; there’s a small scratch on the non-tegimented case back where I slipped when changing straps once; and the antireflective coating on my crystal looks little better than my wife’s 856. Once again, timekeeping has remained solidly accurate, and I can indeed verify that the pushers operate just fine underwater – at least in a swimming pool. 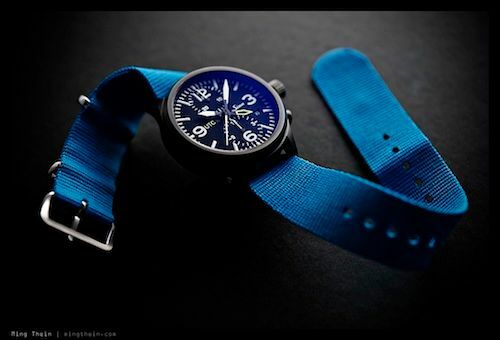 Being pilot watches, the 756 and 856 both have crystals that are secured against negative pressure (i.e. 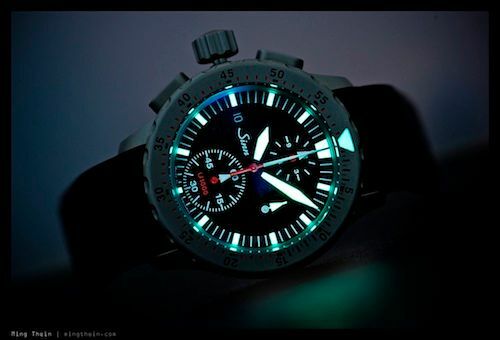 vacuum); surprisingly they also have a 20 bar rating meaning they would also serve just fine as a dive watch, if I dived. 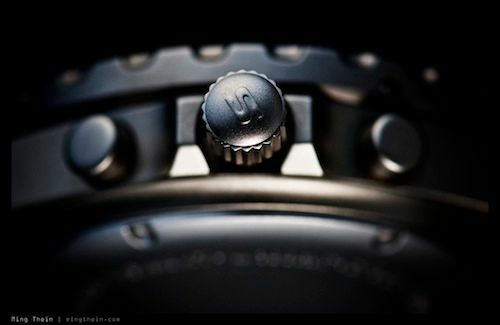 Let’s talk about the fourth and most advanced piece – the U1000. This one was an absolute tank. 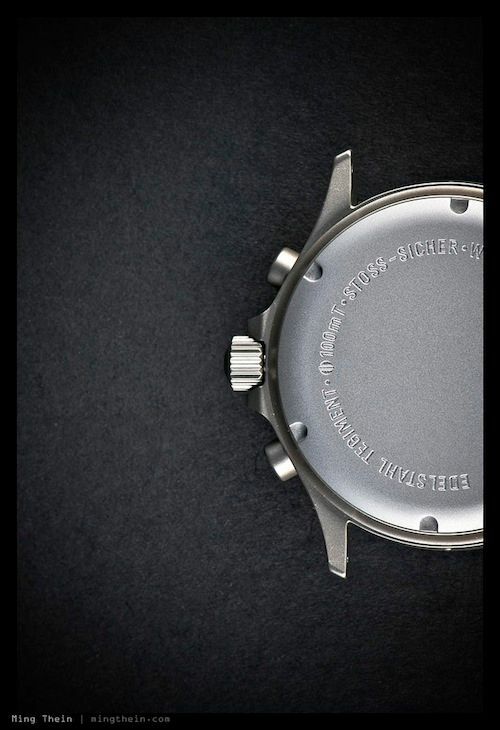 It is one of, if not the most solidly-constructed watch I have owned. Everything has a huge, heavy, dense feeling about it – even the lefty crown and pushers – that does indeed bring to mind a submarine. The sapphire crystal is 4.5mm thick. 4.5mm! There are entire watches that are thinner than that. As expected, this one shrugged off every single unscheduled contact encounter it had – I distinctly remember knocking it into a metal door latch once, and finding a bit of the metal from the door latch on the side of the case. Seriously. Not a mark on this one, anywhere – case, crystal or back. Top marks. I’ll briefly touch on the 556 – it has none of the high tech coatings or materials of its cousins, and as expected, has picked up a couple of scratches on the bezel and case, though the brushed finish makes them difficult to see. The crystal remains unmarked too, which leads me to believe that Sinn has greatly improved their antireflective coatings in recent years. It’s the same very dark purple shade as the U1000, as opposed to the blue of the 756 and 856. Incidentally, it’s one of the two watches I own whose date changes exactly at midnight. So, what conclusions can we draw? Firstly, if you’re going to harden something, make sure that it’s all equally hardened – it’s very odd to have a completely pristine case but scratched up sapphire crystal (even if it is only the antireflective coating). Either that, or just put it on the inside only. 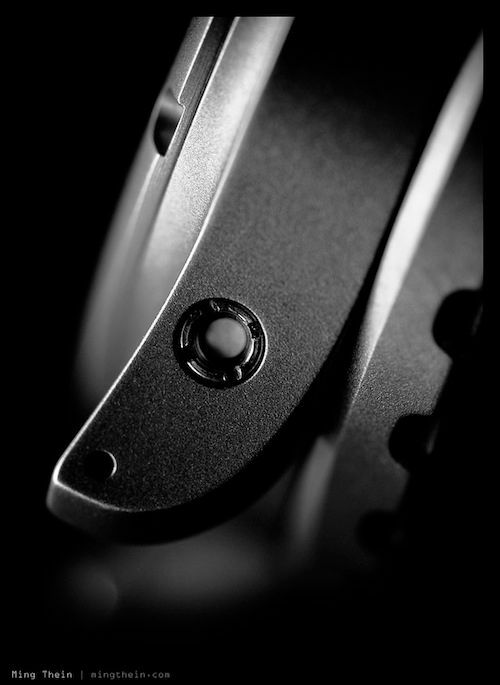 Secondly, for the most part, the case hardening technologies do work – the pristine cases attest to that. (My wife’s watch is an anomaly.) Finally, magnetic field protection is important – my brother’s U1 does not have the same soft iron inner case as the 756/856; it started running fast about eight months after purchase. We suspect it got magnetized; he’s a doctor in training, and there are all sorts of interesting large magnets he encounters regularly. It’s also important to put these observations in perspective: none of my other watches have fared as well, even though they are worn far less often. My rarely-worn JLC Reverso Grande GMT is made of steel so soft that it seems you only need to look at it to cause it to scratch; my steel Omegas take it particularly hard to their clasps and bezels; and even the titanium watches aren’t scratch-free. Let’s not even talk about aluminum cases. 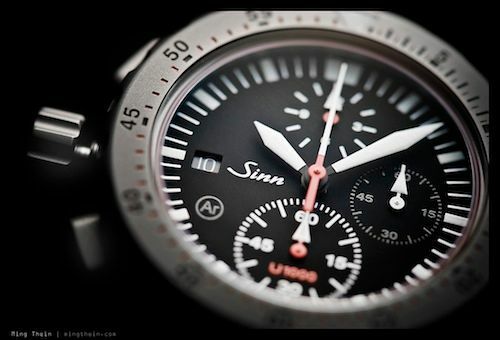 All in all, if you need an indestructible watch, it’s hard to go wrong with a Sinn.